One thing we have been critical about regarding the arcade industry at large is the lack of modern marketing thinking. Many games are only touted upon release and after a flyer is produced and maybe a trailer, it’s left up to the distributors from there. This might have worked out great in the 80s and 90s but it’s not exactly the most effective way to promote such products anymore. There are some exceptions to that rule and today we get to talk about one from Raw Thrills. 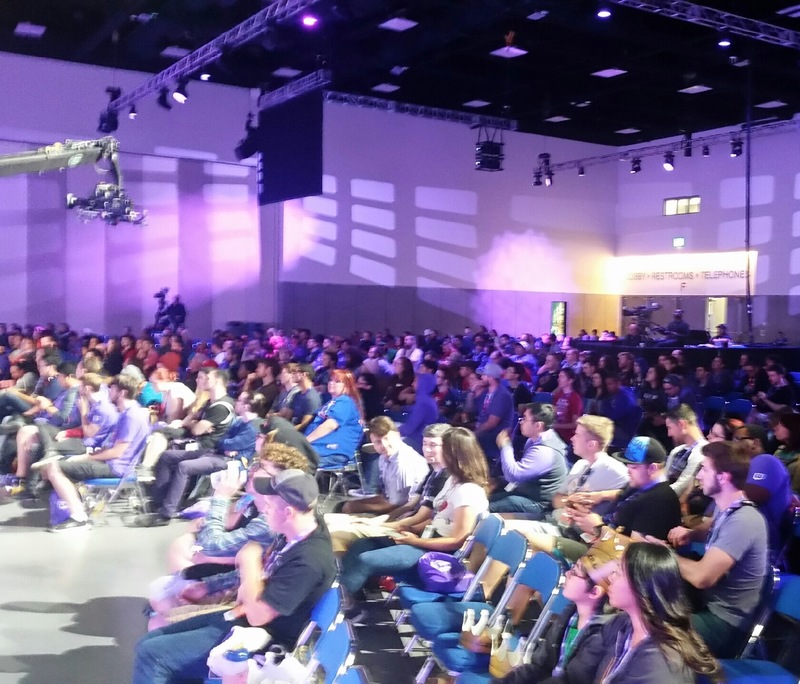 As you may already know, Twitch.tv is a popular site that is used to stream video game play. With the growth that they have enjoyed, this has led to an annual convention where attendees could enjoy gaming, panels on how to stream, new game unveils, competitions and more. 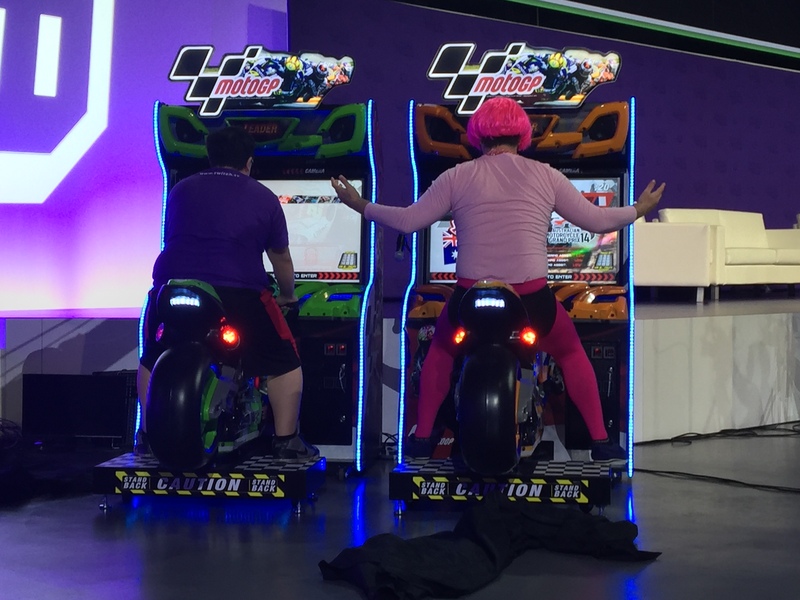 For the part that arcades played in all this, enter in Raw Thrills/Play Mechanix and the relationship that they have built up with Twitch since last year with the Big Buck World Championships. 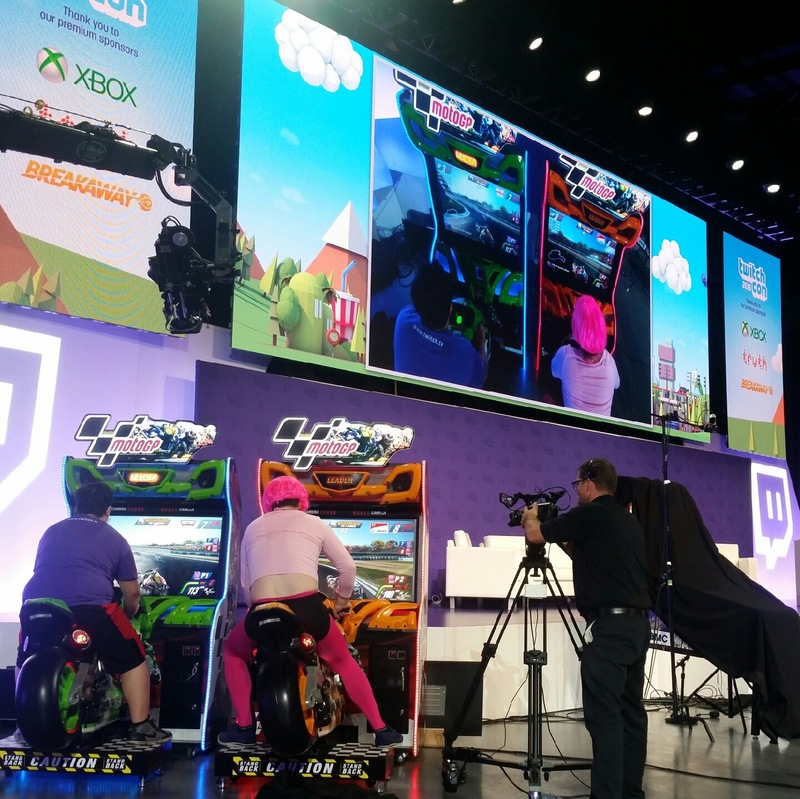 Between that and Buckin’ Around, Twitch is serving as a great vehicle to reach out to gamers who otherwise may never really consider that new arcade games even exist. Raw Thrills has done it again as the leader in arcade gaming eSports! 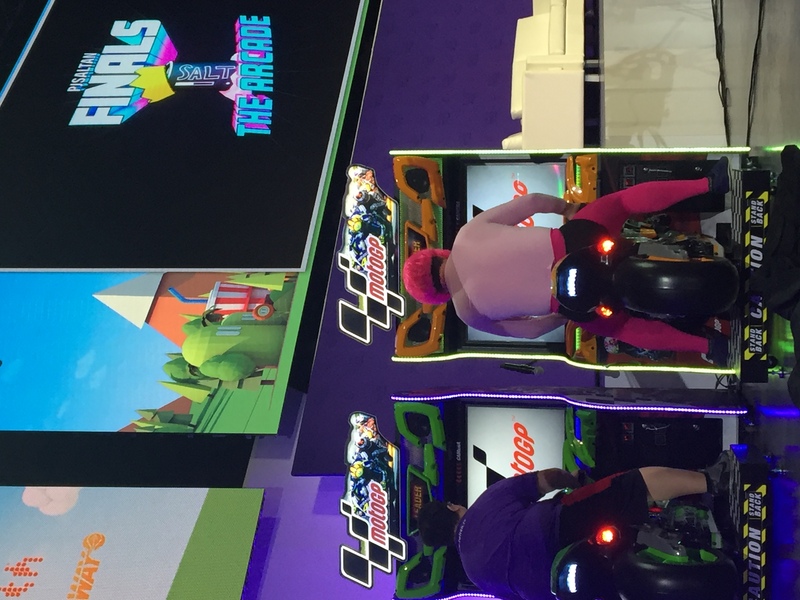 Twitch.tv, the #1 portal for eSports, hosted their second annual PJSaltan Finals at TwitchCon 2016, arcade game style! Raw Thrills and Betson Enterprises supplied MotoGP and Big Buck HD to challenge the competitors. 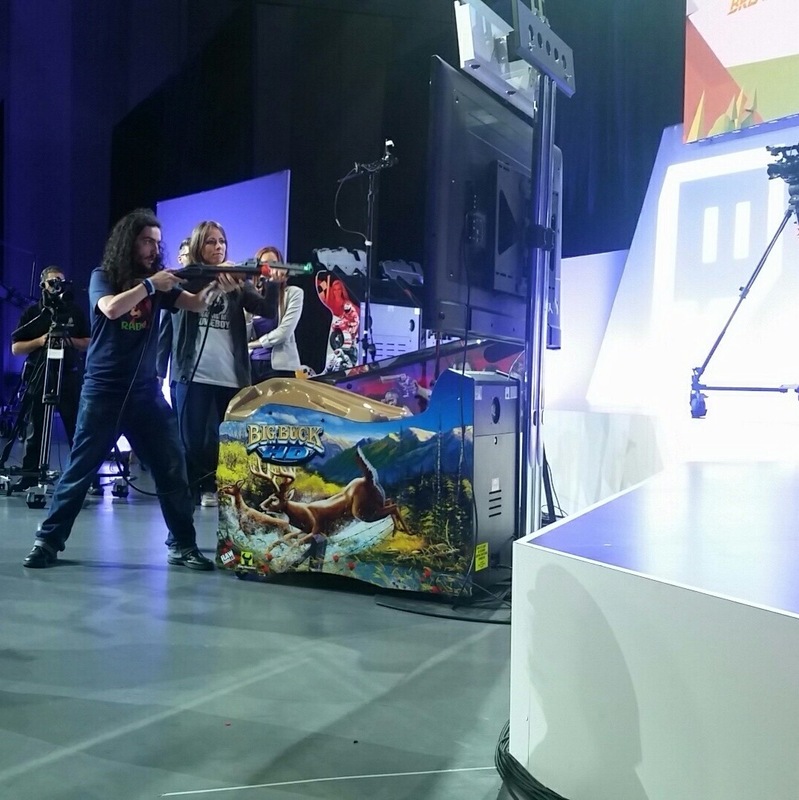 With thousands in attendance and over 20,000 viewing the live stream, four popular streamers, DYoshi, ProtonJon, iKasperr, and Ezekiel_III, tested their arcade gaming skills to see who would take home the title of 2016 PJSaltan of Stream! 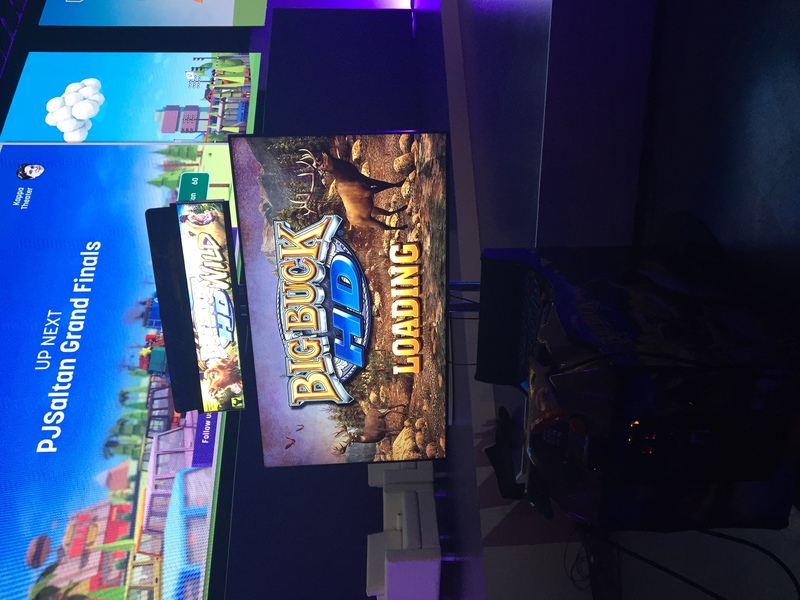 Little did the contestants know that they would first have to face 4X Big Buck HD Ladies Champion Sara Erlandson. 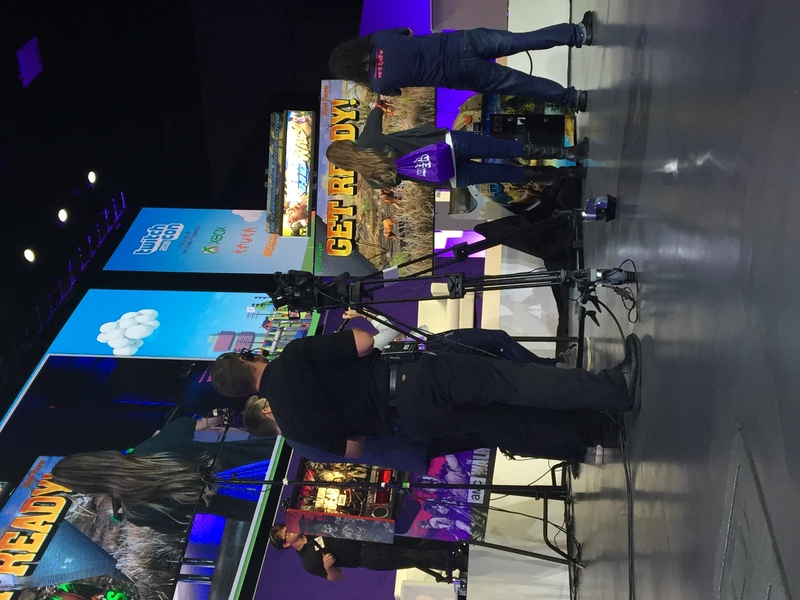 Sara brought the heat showing online gamers what it means to have real gaming skill. Thanks to Twitch.tv for supporting the arcade game business, and a truly entertaining program! Keep your eyes peeled on twitch.tv/twitch to watch it all again, and again, and again. Getting new games in front of such an audience is a great move. Thanks to Play Mechanix for sending the images along (click to enlarge). It’s almost like a modern version of Starcade.